NY REAL ESTATE COMMERCIALJune 3, 2012, 10:26 p.m. ET SL Green's Dreams of Development . 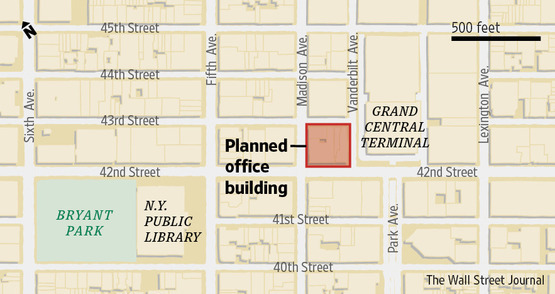 SL Green Realty Corp., SLG -3.61%New York's largest office building owner but a relatively untested developer of new buildings, has taken a step forward in its ambitious plans to build a trophy office tower across the street from Grand Central Terminal. SL Green has brought in one of the country's most prominent office developers, Hines of Houston, Texas, to act as a consultant on the 1.2 million-square-foot project. The team is in the preliminary stages of drawing up plans for the block-long site on Madison Avenue between 42nd and 43rd streets, according to people familiar with the matter. Above, the block west of Grand Central Terminal where SL Green is planning to build a 1.2-million-square-foot office building. SL Green has assembled the prime development site across from Grand Central Station by buying up low-rise buildings over the course of more than 10 years. 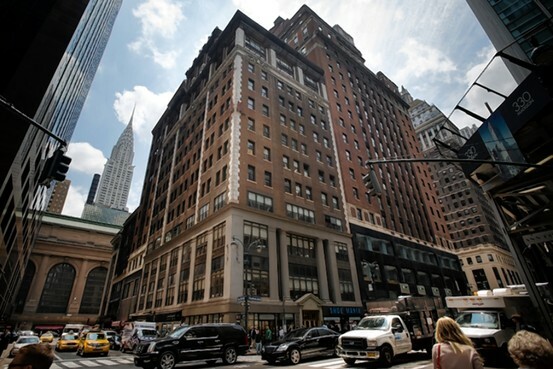 It closed on the purchase of the last building, at 51 E. 42nd St., in December. Of course, SL Green will need cooperation from the economy to be able to break ground. Typically developers don't move forward with major office projects without pre-leasing a big chunk of the space. Given the weak recovery and the rival developers who also have projects on the drawing board, it could be many years before the SL Green tower is built. Still, SL Green executives clearly want to move forward. 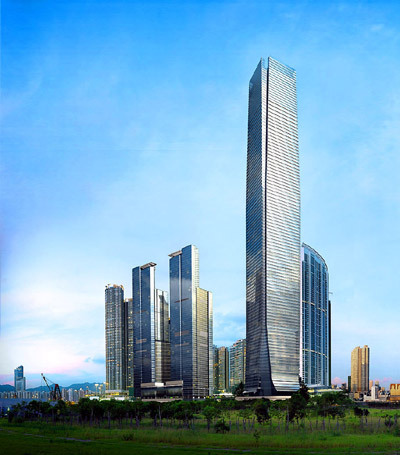 According to the transcript of an investor conference in December, Edward Piccinich, SL Green's executive vice president of property management and construction, said the company plans to build "a spectacular trophy asset with designs inspiration from around the world," drawing on iconic modern towers such as the Burj Khalifa in Dubai and the International Commerce Centre tower in Hong Kong. "I imagined how the lines and the curves of these designs will make a huge impact on the city skyline. I thought about how great it would be [to] construct one of these tower[s] over Grand Central Terminal," Mr. Piccinich said. While SL Green owns more than 25 million square feet of office space in the city, most of its development experience has been with overhauling existing office buildings. Development of new buildings "is not in their DNA," says Michael Knott, an analyst at Green Street Advisors. "I don't think that they have an intention to dive headlong into ground-up development. It's more of a one-off, once-in-a-lifetime opportunity." Hines, in contrast, is known for designing ambitious office towers with star architects, including Philip Johnson's Lipstick Building and the Skidmore, Owings & Merrill-designed 450 Lexington Ave. Indeed, fewer than five blocks away from the SL Green site, Hines has plans to build its own office tower overlooking Bryant Park. SL Green's site would likely be included in a proposed rezoning of the area around Grand Central that would allow larger office buildings. The details of the rezoning haven't been settled. The city is poised to see millions of square feet of new office space hit the market in the coming years, but much of it is at the World Trade Center and on the far west side. In the past two decades, there's been very little new construction in the Grand Central area, a highly desirable location because of its proximity to the commuting hub.That's, in part, because the current zoning makes it difficult for developers to build tall new office towers. "The fact that there's someone who's willing to build a modern office building [near Grand Central], that's sending a message that this will continue to be the most important business district in the city and around the world," says Steven Spinola, president of the Real Estate Board of New York. I have nothing against tall buildings ( actually love them). I thought about how great it would be [to] construct one of these tower[s] over Grand Central Terminal," Mr. Piccinich said. More to the point it's going to overshadow the Chrysler building! According to the transcript of an investor conference in December, Edward Piccinich, SL Green's executive vice president of property management and construction, said the company plans to build "a spectacular trophy asset with designs inspiration from around the world," drawing on iconic modern towers such as the Burj Khalifa in Dubai and the International Commerce Centre tower in Hong Kong. Similarly ambitious pre-construction rhetoric by the developer of One57 had us expecting more than what was delivered. Very disappointing if nice pre-wars are sacrificed for something that's only spectacular in the developer's eye. And unlike One57, this will be an office tower, so the norm is maximum FAR buildout close to the ground. Terminal City, the original office/hotel complex around Grand Central, has already been raped beyond belief. How can this be allowed? Aside from metal & glass, the two buildings mentioned have little to nothing in common, so I'm having a hard time figuring out the "designs inspiration" that Piccinich has in mind. Wow, look at that beauty that was replaced by Phillip Morris. In an ideal world, that building would've been saved in a Hearst Tower manner. So the developers are SL Green? aren't they the same brilliant minds that reclad the Art Deco 3 Columbus Circle with cheapo glass? Six buildings will be demolished for this. Wow, look at that beauty that was replaced by Phillip Morris. That was the old aviation building, where folks got their plane tickets and got a ride to La Guardia. Airlines Terminal building on East 42nd Street, New York City. I don't really consider ICC an iconic building. If anything, it was a disappointment. Maybe he meant the Bank of China Tower?